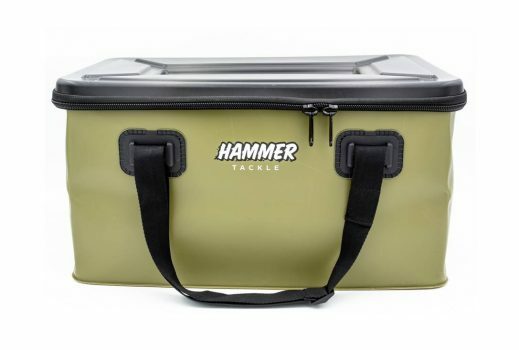 HammerBag HT – size L The latest coup of Hammer Tackle: due to increasing demand we equipped our popular HammerBag with a hardtop (HT). It is now even more rainproof, more stackable and more versatile. HammerBag HT – size M The M sized version of the HammerBag is now also available with a hardtop (HT) cover. It is the ideal storage place for anything that needs to stay dry such as endtackle, echosounder or the compact camera equipment. 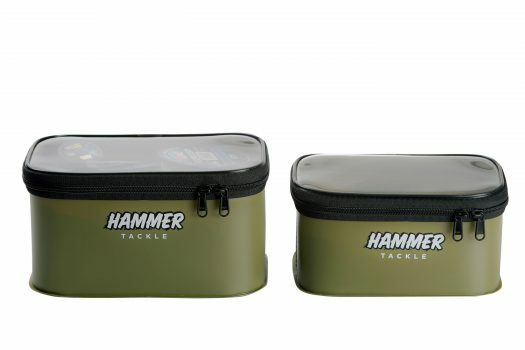 HammerBag – size S & XS The small HammerBags offer a transparent lid. 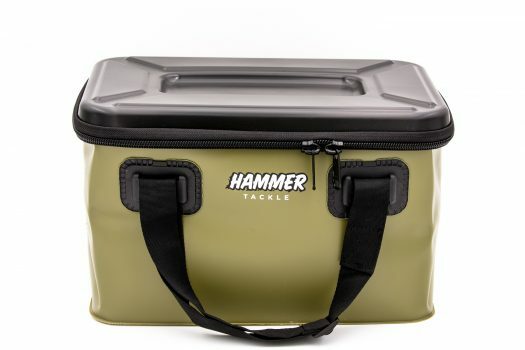 For the practicable storage of small items such as leads, popups, hookbaits, reserve spools but also things that aren’t directly linked to your fishing such as your washing things or tobacco, keys and wallet. There are no limits for your phantasy! 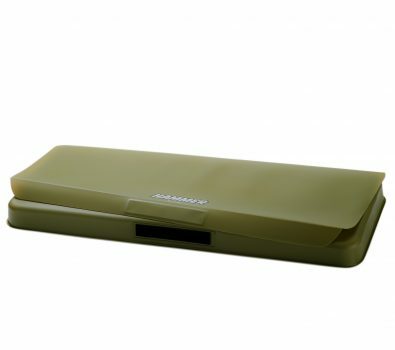 HammerSiz The HammerSiz boat cushion is the ideal supplement for all boat benches. It is 100% waterproof and ensures comfortable sitting in your boat. It feels a bit like memory foam and its hardness is just perfect. Not too soft so that it doesn’t become flat when you sit on it and not too hard so that it is still comfy.